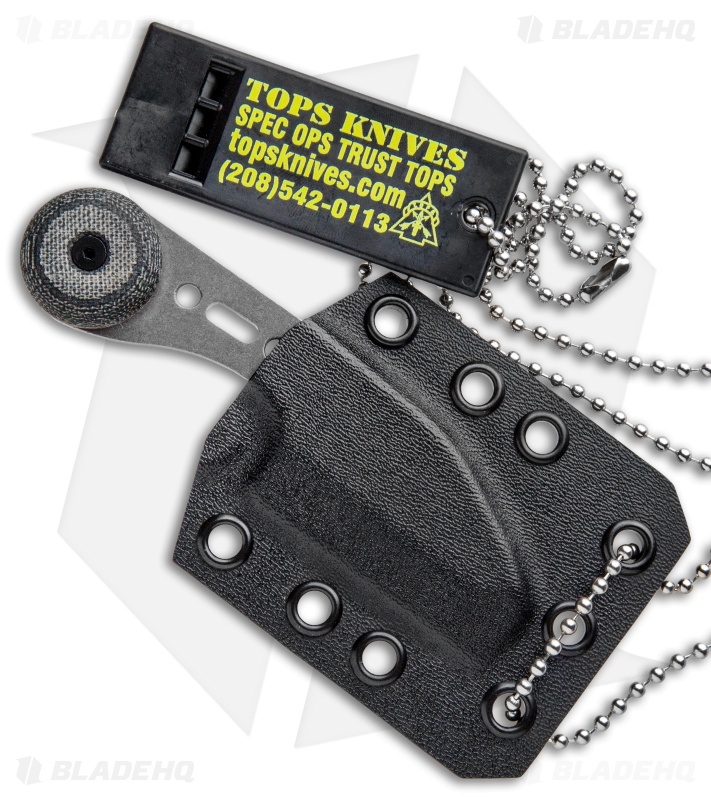 The TOPS 3 Bros fixed is a mini fixed blade that packs a lot of heft into a tiny package. 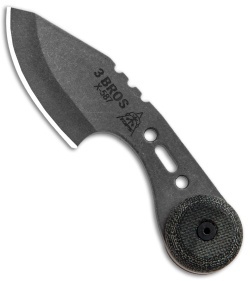 This 3 Bros model is outfitted with a tumbled drop point blade and a black canvas micarta handle piece. Pick up a compact hunting and camping knife with the TOPS 3 Bros fixed blade. Wide micarta end piece provides a stable grip with excellent cutting leverage. Item includes a kydex sheath with a neck carry chain for convenient carry. 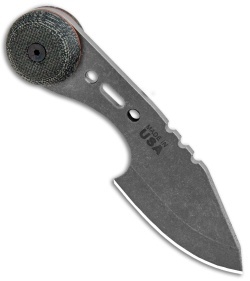 A deep choil groove and thumb rest jimping optimize blade control.